Warner Bros are back at it again bringing to you the sequel to the first game in the franchise, Shadow of Mordor, Middle-earth: Shadow of War. 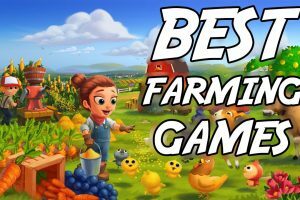 The first game was quite a surprise as it surpassed all the expectations with its rhythmic combat and Assassin’s Creed like gameplay. This only means that the expectations for the sequel are quite high. And with all the trailer and gameplay that we have seen so far, it looks like the game won’t disappoint us. Monolith showcased a lengthy trailer for its upcoming game at the Game Developers Conference which confirms that the Middle-earth world has only become more brutal and gloomy. We have a protagonist in Talion who still host Celebrimbor, the elven Wraith that revived him from the dead. 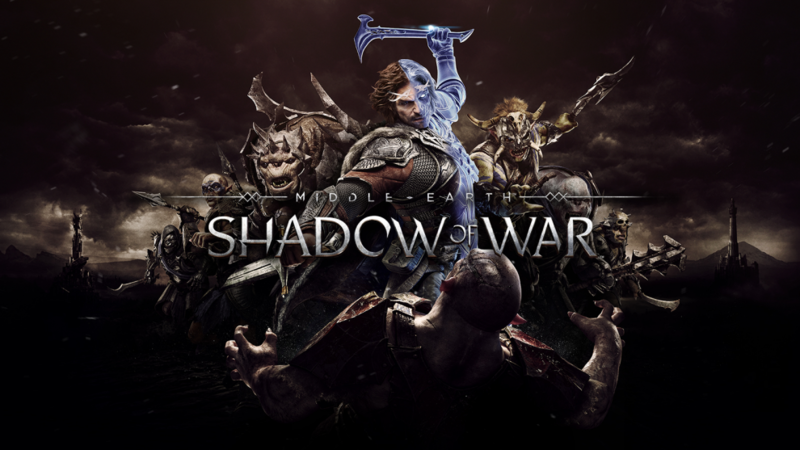 Shadow of War continues from where it left after the events of Shadow of Mordor, which ends with Talion announcing his intentions to forge a new Ring of Power. The trailer shows that he might just have stood by his decision and forged the ring and can now draw and recruit large swaths of Sauron’s army. It looks like the story will have Talion face off against the Nazgûl ringwraiths described as a powerful, dark-haired spider woman, and a giant, armored balrog. 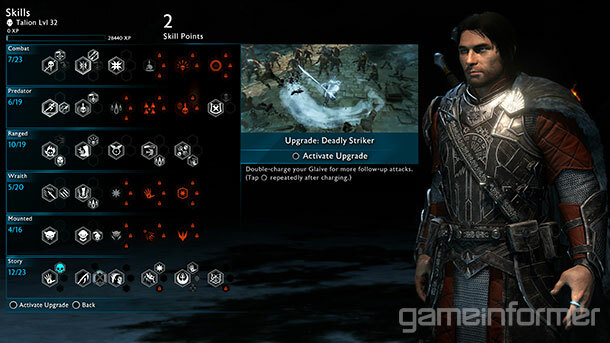 What made Shadow of Mordor an instant hit among the fans was its Nemesis system which had players make choices which would have an impact on the story. And because Nemesis were randomly generated the playthrough for each player would be different. 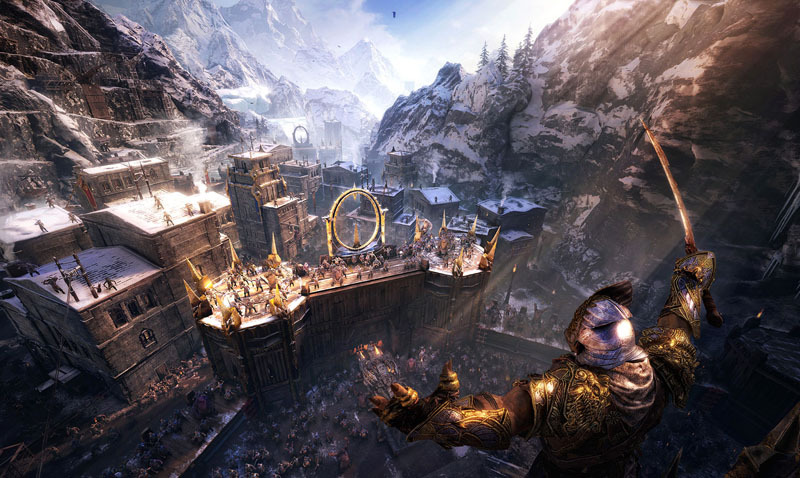 The Nemesis System which is expanded to include Nemesis Fortresses can be captured through sieges, which would require players to kill the resident Overlord. Each Fortress will supposedly have one powerful Overlord, along with several Warchiefs beneath him. The much welcome addition to the game is the inclusion of new skills and Wraith abilities. 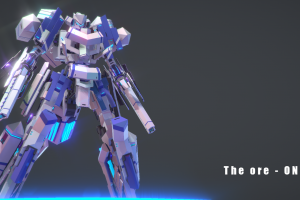 In addition to unlocking the abilities, players can now modify it with additional bonuses. For example, Eleven Agility allows players to climb faster through long, fast leaps up structures. Poison Tendril – Talion can poison barrels of grog with a shot from his bow, from a safe range. Double Jumping – allowing players to roam a wider range of rooftop environments. Since the game is made to connect the books to movies we can assume that this might be the end for the Middle-earth games. Interestingly when asked if Talion’s story will be a tragedy, de Plater nodded back to Tolkien’s opinion that no story can be finished without a fall. Only time will tell if our assumptions are true and if Talion indeed ends up dying we are sure to witness a great ending to our protagonist’s story. 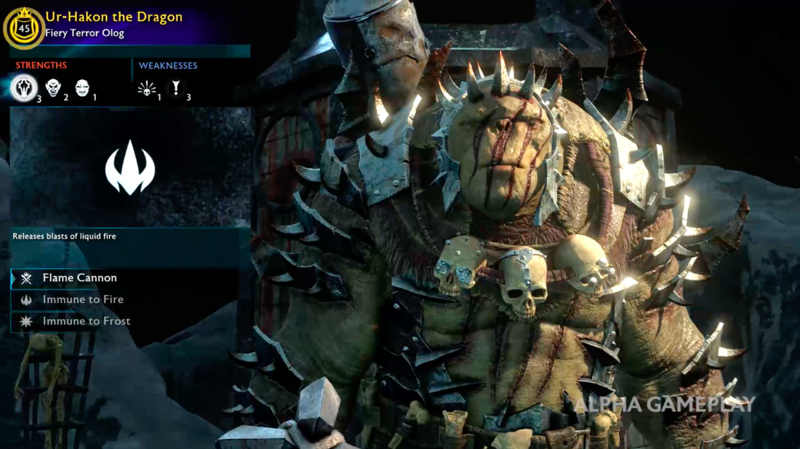 The game comes with new orcs and enemies for players to fight against like the Olog-hai, which are a form of canonical troll hybrids which developer Monolith describes as the elite soldiers of Mordor bred specifically for battle. Also if you were a fan of the old orcs from the previous game with an update to the Shadow of War players can import their worst enemy from Shadow of Mordor as part of the Nemesis Forge system. The game is set to be released worldwide on October 10, 2017, for Microsoft Windows, PlayStation 4 and Xbox One.